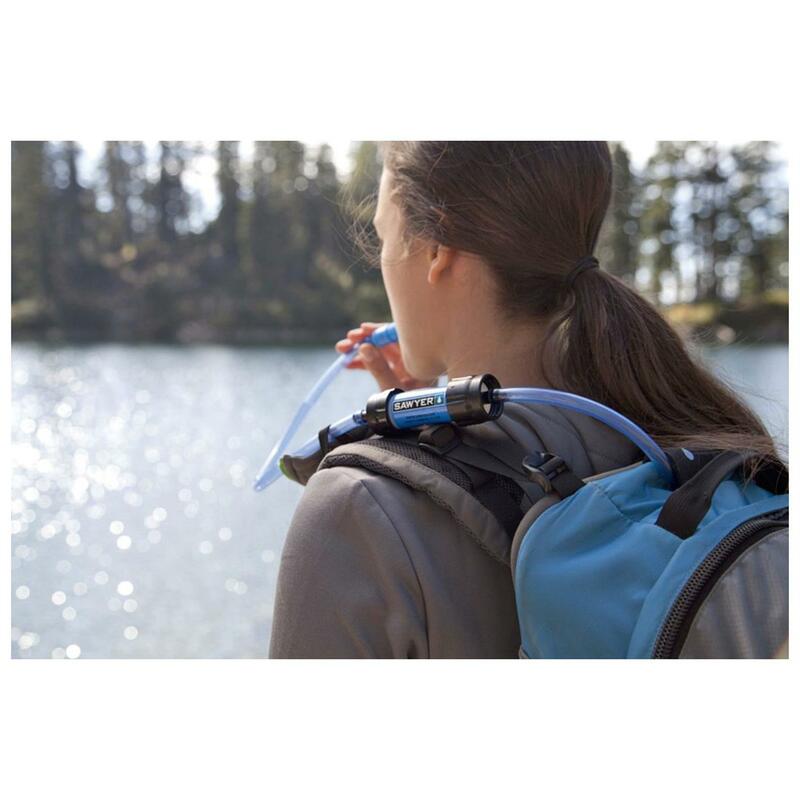 Weighs just 2 oz., filters up to 100,000 gallons. Compact take-along unit! Hollow fiber removes 99.99999% of all bacteria such as salmonella, typhi, cholera and E. coli. Also removes protozoa such as giardia and cryptosporidium. 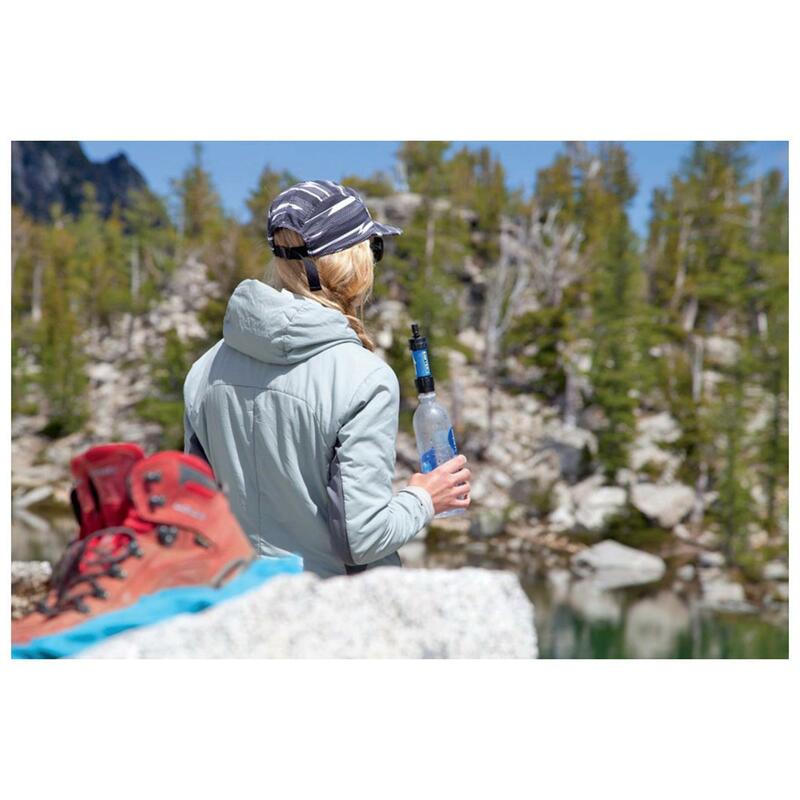 Perfect for hiking the backcountry, scouting, camping and international travel. 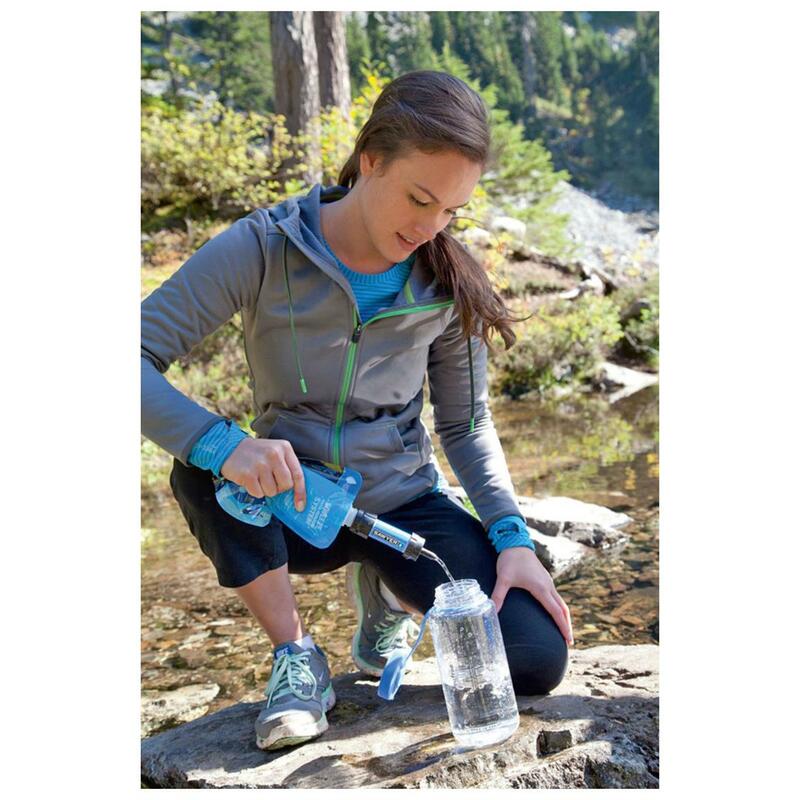 Keeps water as a resource for survival at your fingertips without risk of contamination or sickness. Sawyer MINI Water Filter is rated 4.9 out of 5 by 8. Rated 5 out of 5 by SEB1 from Great Value Best filter for the money I have found. Rated 5 out of 5 by rbc76 from price is right this item is just the answer for my go bag only used it once so far but it was good yes I would recommend.. Rated 4 out of 5 by Cam05 from Great Price! SG was the cheepest around I have been looking at the Sawyer Mini for a few months now but, hesitated to perches it because of the cost. The Guide was the cheapest and with a coupon I couldn't resist. I wonted the Mini because it is just that "Mini" I put it in my fanny day pack for those short 5-6 mile hikes as a just in case item. I also plan to attache it in line to my hydration bag as well. Rated 5 out of 5 by Mr Carl from Bairgan price, easy to use Simple to use, light weight, great use life. Had no problem in multiple uses. Rated 5 out of 5 by seanwh53 from I love this thing! This is my 2nd one that I purchased just as a back up. My Original filter is about a year old and still works great. It's nice to be able to drink water from any water source when hiking. I would def recommend!!!! 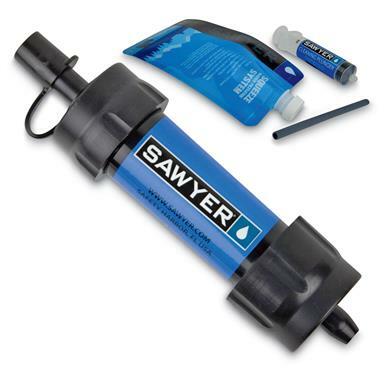 Rated 5 out of 5 by rleigh1250 from The way water should taste First thing I did when I received the Sawyer mini water filter was using water from a Brita Filter, then passed it thru the Sawyer and what a difference. The taste was so natural. Tasted the same when filtering tap water here in LA. No more metallic taste. Will be using it on the trail this winter.